1. What is the Care Team and what is the purpose of reporting incidents? To connect information that is collected into an assessment of risk that may exist. To prevent possible harm by recommending appropriate action to either assist an individual in fulfilling their obligations as a student or to remove an individual student from the campus community. The committee is led by the Dean of Students, and its proceedings are confidential. 2. How do I contact the Care Team? Make a phone call to the Dean of Students’ office at 716-878-4618. If you sense something is not right, please let us know. If you sense something is not right, please let us know. Online reports and email will respond within 24 hours during the work week. The team is available to support you, but in order to assist, we need you to contact us. 3. Who is the Care Team and how will I be contacted? The Care Team also has several Case Managers who will identify themselves when they contact you. The Case Managers are acting on the behalf and supervision of the Dean of Students Office. They also work in other Student Affairs offices. The Care Team will contact you as soon as possible by phone or email. The Care Team meets weekly to review online reports and monitor student’s behavior. 4. What problems, issues and incidents should I report to the Care Team? 5. Will my identity be protected? Why aren’t the reports anonymous? We will contact you (the reporter) first and any additional faculty/staff/students that the report mentions. We will ask you if you want to be identified and if you have any unique relationship with the student; i.e. advisor, mentor, instructor. We will protect your identity and not reveal the source of the report until we talk to you and others involved. The online report needs your login because anonymous reports are difficult to investigate and substantiate. 6. What occurs (happens) after I send in the report? They confer and research to see if there were previous incidents and also information about the student such as address, major, class schedule and residence. We then will contact you to gather any additional information, concerns or insights. 7. Is this a report to Student Conduct and Community Standards? We are not part of the Student Conduct process. We are intervening to prevent an escalation of the situation and prevent further occurrences and keep the campus, classroom and community safe. Our major goal is to assist a student who may be overwhelmed with difficulties and needs assistance. 8. What happens to the student after I send in the report? After consulting with you (the reporter) the Case Managers will contact the student and set up a face to face meeting to discuss the situation. In rare cases we will seek out a student after they finish a class. We will also speak to students over the phone if the situation warrants it, but prefer face to face meetings. We will discuss the reported situation while respecting the reporters need for privacy, if requested. Our goal is to enable the student, instructors and fellow students to successfully complete the course. 9. Will I be informed of the outcome? Yes, we will let the reporter know by phone or email of the initial meeting and the resolution of the incident. We may not be able to provide information that violates confidentiality. 10. Who will respond to the On Line Report? One of the Case Managers or the Dean of Students who will identify themselves as members of the Care Team. 11. Can I contact someone by phone or email if I prefer? Yes, although we prefer the Online Report we will also respond to calls to the Dean of Students office at 716-878-4618. 12. Who do I call in an emergency? 13. What if the student has an emotional/psychological problem? 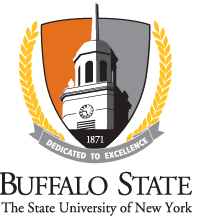 Call The Counseling Center at 716-878-4436 or, University Police at 716-878-6333. When The Counseling Center is closed, and if you feel it is an emergency, you may call Crisis Services at 716-834-3131 for 24 hour mental health support.